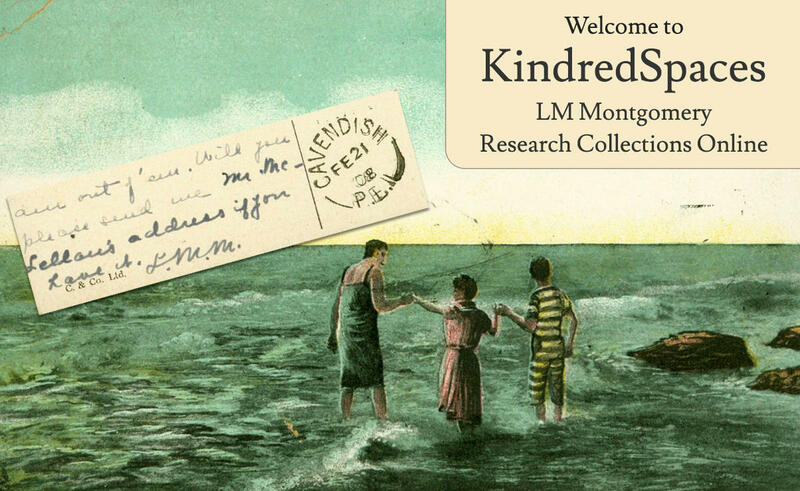 This element of Kindred spaces offers a searchable catalogue of nearly 700 books published by, or about, Montgomery, from more than 20 countries, and ranging in date from the nearly 1900s to the early 2000s. Many of the editions of Montgomery’s novels (and her sole book of poetry, The Watchman, also included here) in this collection are exceptionally rare or distinctive. Thanks to Dr. Campbell’s efforts in collecting these works over the course of many years, and her support for KindredSpaces, you can now embark on a uniquely far-reaching exploration of the Montgomery bibliographic universe. The books in this collection fall into four genre categories: novels (Montgomery English-language editions), translations (Montgomery books published in languages other than English, collected works/anthologies, and reference works. You can click on the preceding links to retrieve all the content in each of these three categories. The default display is alphabetical by book title, but you can also use to the Sort function to order content display by publisher name, date of publication, or place of publication. You can also use the Faceting features at the left of the screen to limit the results displayed (if, for example, you only wished to see Australian editions published pre-1950, or only Ryerson Press editions). Most of the books in this collection have not yet been digitized: instead, we have sought to present important bibliographic edition to help Montgomery scholars and enthusiasts identify various Montgomery editions and books containing information on Montgomery’s life and work. We are pleased to be able to share the cover art for most of the books in this collection, however, and do plan to add digital images of other distinctive books elements (e.g. title page and verso, full dust jackets, etc.) in future. Original editions of all of these books are available for consultation at the UPEI Library’s Archives and Special Collections. If you wish to locate specific content — such as an edition from a particular country of a particular Montgomery novel — you can use the Search feature provided.